Up to this moment 247 people have already claimed their copy of my paranormal/mystery. You have until midnight tonight (Pacific Standard Time) to get your free copy. And if you’ve already gotten yours, spread the word and so your family, friends and networks can get their copy. 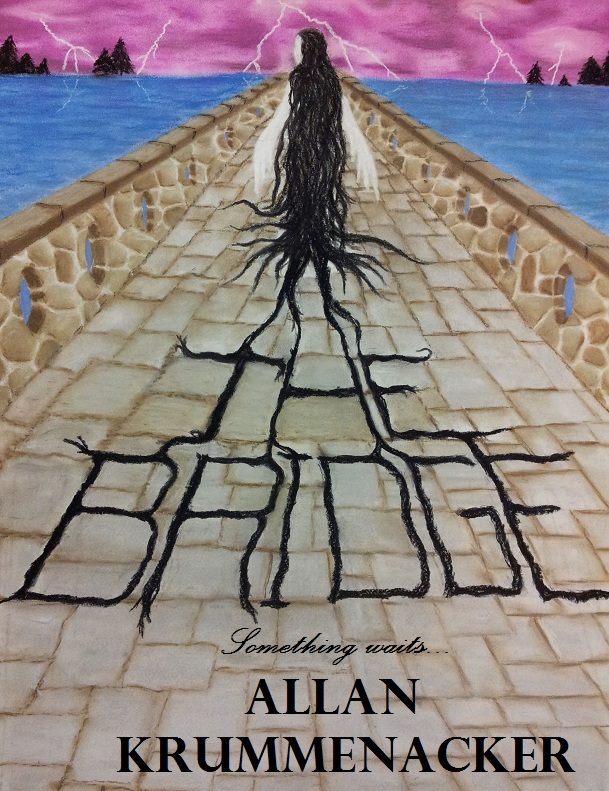 Psychics, cops, ghosts and a terrifying secret hidden away inside a three hundred year old bridge await you in this book. Come and learn how the Para-Earth series begins in this first installment. You’ll be glad you did. This para book is not the genre I usually read. But I got sucked in and loved the characters. I am looking forward to the next in the series. Finally started the book cover yesterday morning. It’s similar yet different to the previous one, I kept the lower half and have changed upper portion but I think it’s going to work. Finishing this piece is going to take a little while and so will formatting the book when I finally get to that in a few days. Plus, I still have to do a back cover blurb, do dedication and acknowledgement pages. All this on top of finishing up college for this semester. I might be looking at Christmas Day or New Year’s Day release (but ONLY if it is really ready). Any thoughts or comments would be welcome. I Got An Answer Back On My 1st Novel! Finally got a response today. Never thought I’d be so happy to be rejected but at least I have an answer. And while the novel was rejected I was also given a critique that gave me much food for thought. I’m going to do a rewrite of the story and try to decide where to go from there. More querying or try to e-publish. Any thoughts folks? 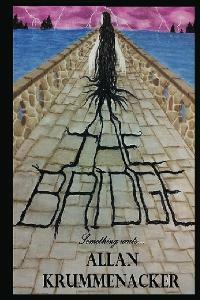 For those wondering and needing a reminder “THE BRIDGE” is a unique blend of paranormal horror/mystery/with a sci-fi twist that would make the Twilight Zone proud. I’m using italics here to separate the story from what I have to say. This takes place a bit after the last section I posted. At this point my male lead Alex has been rescued by the three female leads. His police girlfriend Veronica, Cassandra a petite beauty and friend of his who is also a billionaire heiress, and Julie a tall muscular girl who is Veronica’s best friend. They were all featured in the last scene I posted. 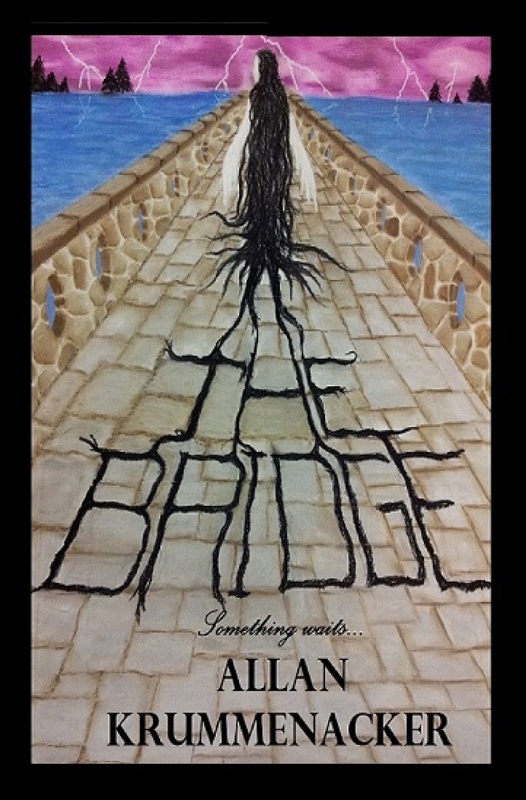 I won’t be posting too much else from “THE BRIDGE” in the future only because I don’t want to give away the main secrets of the story. Suffice to say that the other figure who appears (the white-haired man) plays a crucial role in the sequel, which I am currently working on. I’m tentatively calling it “The Door”. I thought it only appropriate to introduce you to him before I start posting any sections of that book in the near future. I also wanted to assure you that all the characters in this scene will be appearing in the 2nd book and will still be in the leading roles of that story. In the meantime, please enjoy this section of “THE BRIDGE”. The infant in Veronica’s arms cried out loud, breaking the spell. Alex could sense the baby’s terror and the reason behind it. At that moment the stones beneath their feet slowly move up and down. The bridge seemed to be breathing. Julie knelt down by Alex and began assessing his condition. They needed to get out of there, but she didn’t want to risk causing him further injury in the process. “You all right?” he asked her quietly. Alex gave her a weak smile and then winced while clutching his leg. That’s not good, Julie thought and reached into her bag where she always kept an ace bandage and other emergency medical items. “Cassie I need that flashlight over here,” she called and waited. There was no response. Looking up spotted the heiress slowly moving towards the end of the bridge leading to Jason’s old cottage. “Cassandra!” she yelled. Cassie blinked and shook her head, as if coming out of a dream. “I need you over here. Bring the flashlight and that walking stick you took out of the limo,” Julie instructed. Cassie raced to over to where she’d dropped the items earlier, when she’d first spotted Veronica trying to rescue Alex. Gathering them up quickly, she rushed over to where Julie was working on Alex. “More like sized up,” replied the heiress. As if in response, the bridge shifted slightly beneath them. Suddenly, the bridge gave a violent heave. The muscular girl quickly splayed her body across Alex to keep him from being jostled, as the stones heaved and settled back down. “Is everyone all right?” she shouted. “Doing jolly well down ‘ere,” came a muffled reply, from beneath Julie’s ample chest. “Roy’s supposed to be on his way,” Ronnie replied, repositioning the infant in order to reach her shoulder radio. The bridge gave another shudder. “Neither,” replied Julie reaching down and lifting Alex in her powerful arms. “This’ll be quicker,” she told them. “I thought I recognized you from somewhere in my embarrassing past,” he replied. Julie laughed, if Alex could joke, he was hanging in there. They turned to head back to where their cars were parked and stopped. There was a figure standing at the end of the bridge blocking their path. A flash of lightning gleamed off his long white hair. “Other way, we’ll try and get to the mansion.” Veronica replied, pulling out her service revolver. They were just about to turn and flee when they heard the cracking of stone behind them. Cassie swung the beam of the flashlight at the source of the sound. The ornate slab in the center of the bridge had cracked and black tendrils were emerging.